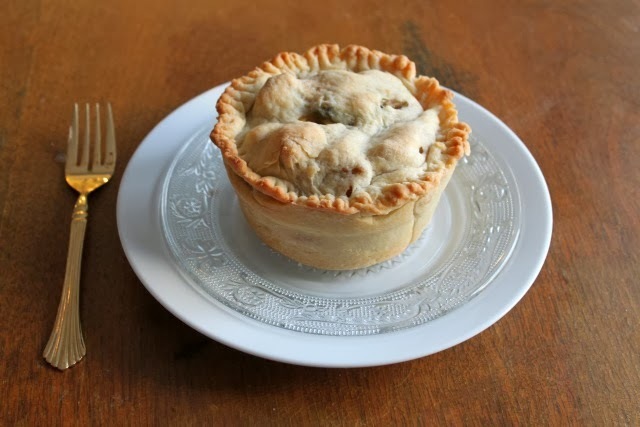 Billy’s favorite dish as a kid was chicken pot pie. I think it has something to do with his roots in the south (Arizona born and raised) that makes him love this comfort food. 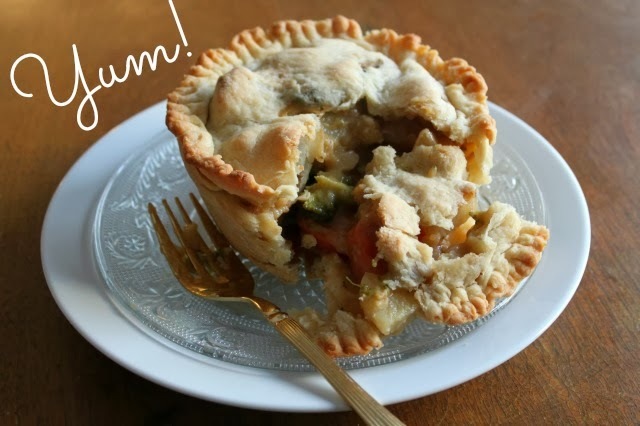 This deliciously simple-to-make vegan pot pie was thrown together with our fridge and pantry staples – so hopefully this will be easy for you to whip up too! Chill crust ingredients in the freezer along with their mixing utensils (bowl and fork). While the crust ingredients are chilling in the freezer, begin preparing the filling. Pour olive oil in a large skillet on low to medium heat. When the oil shimmers, add the veggies and potatoes. If using frozen veggies, pop them in the microwave for a minute before throwing on the skillet. Or, if you’re not afraid of a little popping oil, throw them on the skillet frozen. Cook until potatoes are almost palatable, covering them speeds up the process. When the veggies are edible add vegetable broth, soy sauce, nutritional yeast, and 1/2 cup of flour to the skillet. Mixing everything up well will turn the veggie mix into a thick gravy filling. Taste and add salt and pepper as needed. While the filling is simmering on low, prepare the crust. Pull ingredients from the freezer and begin by mashing the butter into the flower with the chilled fork. Mix in the butter without it melting into the flour, so work quickly. As you mix the flour with the butter, slowly drizzle the ice water into the mix until it becomes a sticky dough. When it becomes a homogeneous blob, place onto a floured surface, flour the top and and roll with a rolling pin. Roll it out several times, folding it over itself and rolling it flat again. After rolling it for the fifth or sixth time, the dough is ready to go into the baking dishes (we used our oven-safe snapware because we don’t have any ramekins, but you can also make a huge pie and line a casserole dish). Either line the whole dish with the dough or just top it off. Bake your pies at 400 degrees for 30-35 minutes. This recipe makes five four-inch pies. mmmmm, it looks yummy and lovely! Oh my, that looks amazing! I'm such a sucker for comfort foods. this pie looks unreal! Definitely need to try out the recipe!